When you take a glance at Chael Sonnen’s career record (31-15-1), it doesn’t stand out as one belonging to an elite fighter. It’s not bad, but it isn’t great. He never captured a UFC world championship, but has fought world champions. Look a little closer and some of his opponents are a who’s who of MMA: Forrest Griffin, Rashad Evans, Michael Bisping, Quinton “Rampage” Jackson and Wanderlei Silva, to name a few. Dig beyond the record and the man, who best put trash talking in MMA on the map, has faced arguably the three greatest fighters to don four-ounce gloves: Anderson Silva (twice), Jon Jones and now, Fedor Emelianenko, as the two will clash in the semifinal of the heavyweight grand prix at Bellator 208 on Saturday, live on DAZN. As much as Sonnen despises talking about his legacy, he admits that getting a win over Fedor is something that he’s yearning for — especially, considering how those losses to Silva and Jones continue to haunt him. In his fights with Silva and Jones, Sonnen came up short. He lost a heartbreaker to Silva at UFC 117 in August 2010. 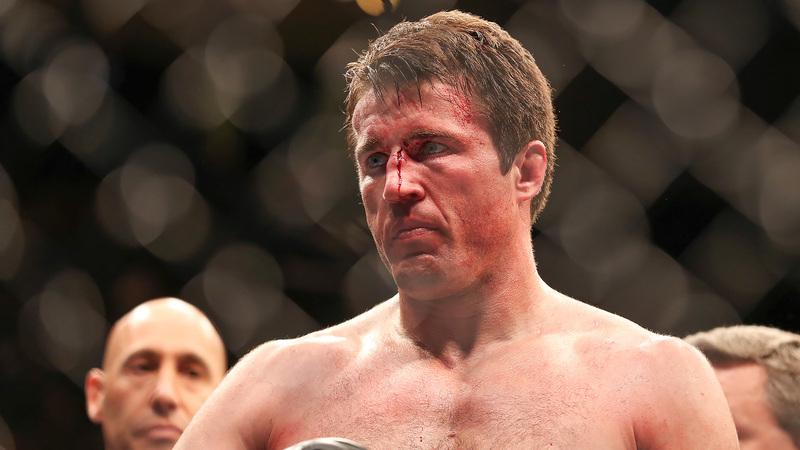 After dominating the first four rounds, Sonnen looked to be well on his way to handing Silva his first UFC loss. Instead, Silva pulled off a submission and made Sonnen tap out with less than two minutes remaining in the fight. They had a rematch at UFC 148 in July 2012 and Silva won by second-round TKO. His very next fight, at UFC 159 in April 2013, Sonnen was dominated by Jones via a first-round TKO. That being said, if Sonnen somehow manages to get his hand raised in victory Saturday night, it will mark that one dent he was successfully able to make on that Mount Rushmore of MMA. Sonnen said, “I will take any match” and “you can bring me a bum or a champion, I will treat them all the same.” But having fights with Silva, Jones and now, at 41, against Fedor is something special. Perhaps Sonnen will have more fun in the cage against Emelianenko. If not, simply competing against one of the best to ever do it, stands for something.